Peter Borst has been a beekeeper since 1974 and takes a longer view of the industry’s recent struggles. 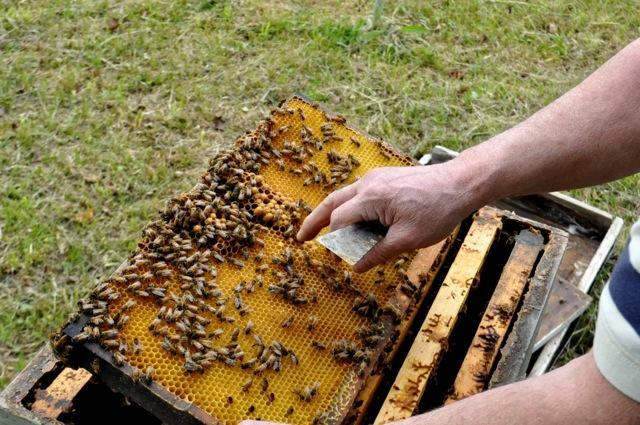 In 2006, beekeepers began reporting the widespread loss of seemingly healthy bee colonies. It led to the naming of a new disease: Colony Collapse Disorder. But Borst says the issue’s been blown way out of proportion. “And the thing that was odd about this colony collapse disorder was that the bees just seemed to vanish," says Borst. "But bees disappearing, we don’t know why, has been a recurring theme." The rest of the story and video of Borst checking his bees can be found after the jump. Borst says small beekeepers in the Northeast should expect to lose as many as half of their hives because of the cold winters and a parasite called the varroa mite. 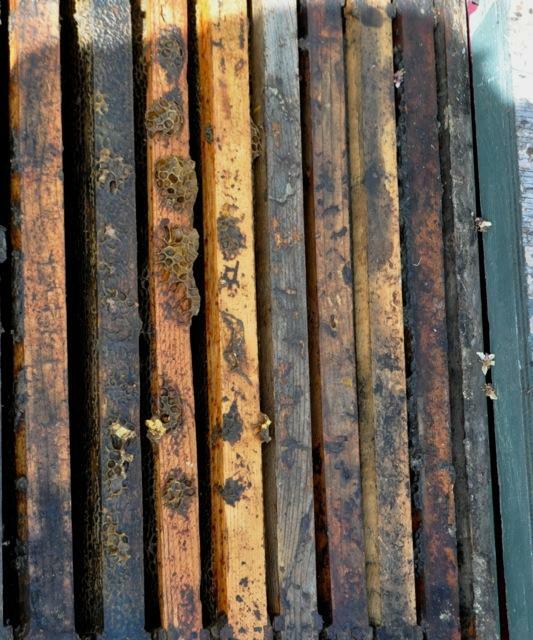 Large, commercial beekeepers in the United States lost 28-33% of their hives each winter between 2006 and 2011, in part because of colony collapse. But Borst says that’s not too hard to recover from. “I mean it’s not magic," he says. "You can divide your colonies, you can make three colonies out of one, and go into the fall with more hives than you think that you’re going to need in the spring and take some losses." Borst quit trying to make money from beekeeping 20 years ago. 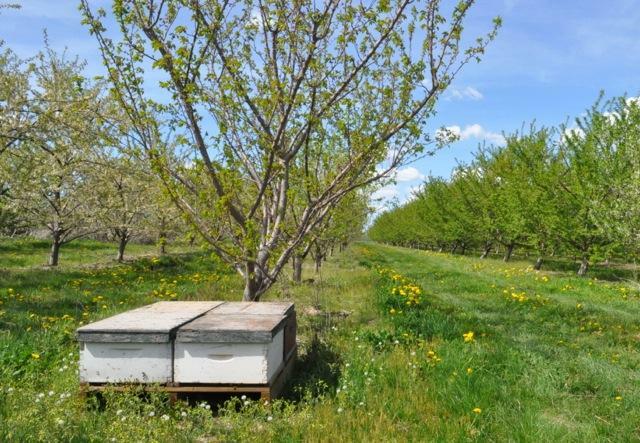 But for farmers who need bees to pollinate their apples and cherries and almonds every year, the losses from colony collapse are a troubling development. 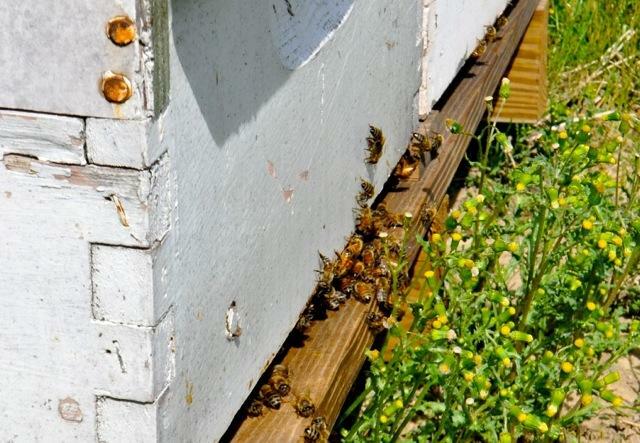 According to a recent report by the U.S. Department of Agriculture, colony collapse isn’t the result of any single factor, making it much harder to prevent. 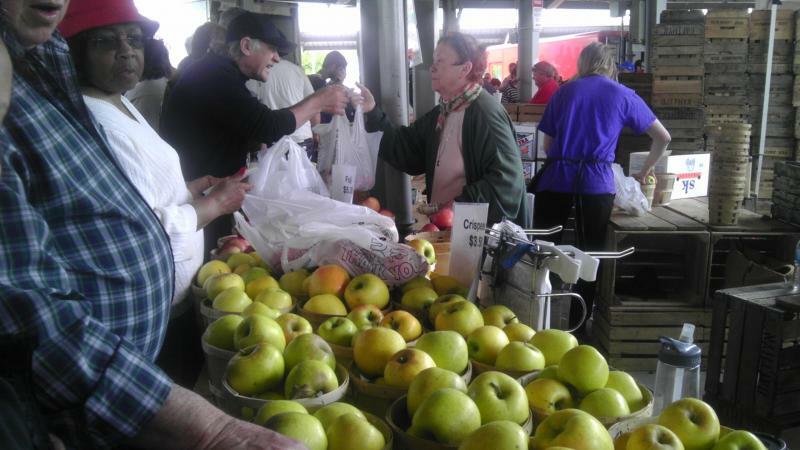 Mike Biltonen is the operations manager at Red Jacket Orchards in Geneva. They grow 16 types of fruit and keep bees on the farm for four weeks every year. Biltonen agrees that there’s probably no single cause for colony collapse. One factor is the loss of natural habitat. Another is the distances hives travel every year: honey bees are moved from the citrus orchards in Florida to apple orchards in New York and huge numbers are now needed in California to pollinate the world’s largest almond industry. “I’ve heard real horror stories. There’s a couple of hives that we actually just got which were dead, you know, I don’t know why that happened,” says Biltonen. So they do what they can at Red Jacket Orchards to keep bees healthy. They stopped using a class of insecticide called neonicotinoids because it’s been linked to colony collapse. And they’re trying to develop the native pollinator population on the farm. “There are bees that burrow in beetle holes and straw and rock walls," says Mia Park, a graduate student in entomology at Cornell. She grows animated when describing some of the 100 wild bee species found in a recent survey of local orchards. “So they scoop up mud with these projections, they look like horns on their face, and then they can smooth this mud out to make a wall,” says Park. Park adds that no one is really sure how many native pollinators are out there and not much work has been done on how to manage them. “But certainly for our small orchards that have natural habitat on a lot of the edges, we feel like the native population can provide adequate pollination for apple,” says Park. 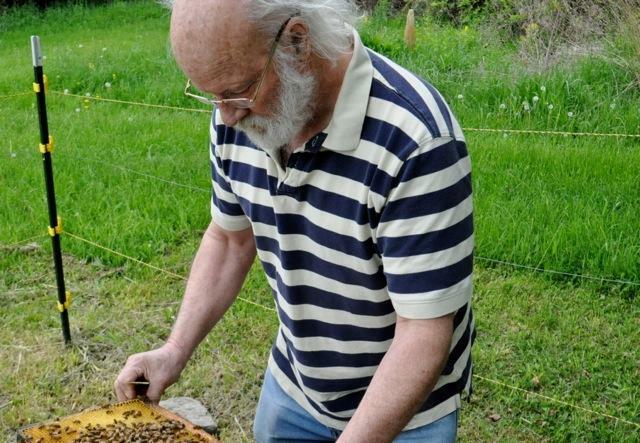 At his club’s bee hives, Peter Borst finds what he calls the biggest threat to honey bees: the varroa mite. The parasite lays its eggs in the hives and lives off bees during the winter. “Most of the easy problems have been solved. Now we’re stuck with the hard problems. And this is one of them,” says Borst. 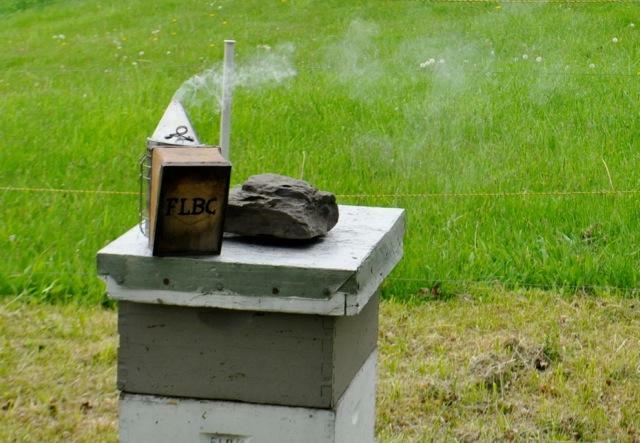 For Borst, the yearly losses are just part of beekeeping. But for a commercial beekeeper with 90,000 hives, losing a third of the hives in a year seems more like a catastrophe. The devastating disease, fire blight, targets the most popular apple varieties. Researchers are trying to work on expanding the range of defenses available to combat the bacteria in upstate. New York is the second biggest apple producing state in the country. But, last year production dropped dramatically due to a warmer winter, early blooms, and harsh spring frosts. The total production from the state plummeted from 1.2 million pounds in 2011, to just 710,000 pounds in 2012. But, weather isn’t the only challenge growers are contending with. 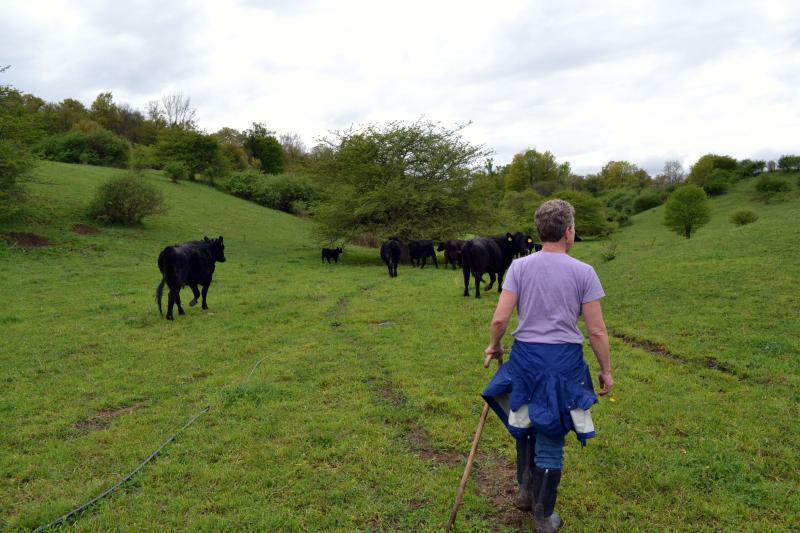 New York's beef farmers think laterally to gain a foothold in the 'local' food market. The state actually has no definition for classifying whether beef sold under that label is locally produced; the duty of deciding what's local falls to the store selling the meat. Cattle raising in New York state is pretty modest by Texan standards (which had more than 4 million at the start of the year). 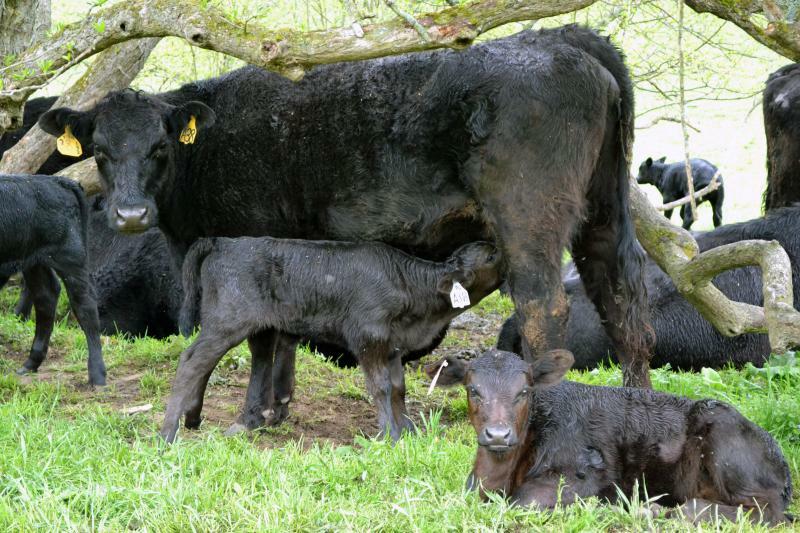 There are about 6,000 New York farmers raising 90,000 cattle, according to the Department of Agriculture census. That averages out to about two dozen cattle per farmer.